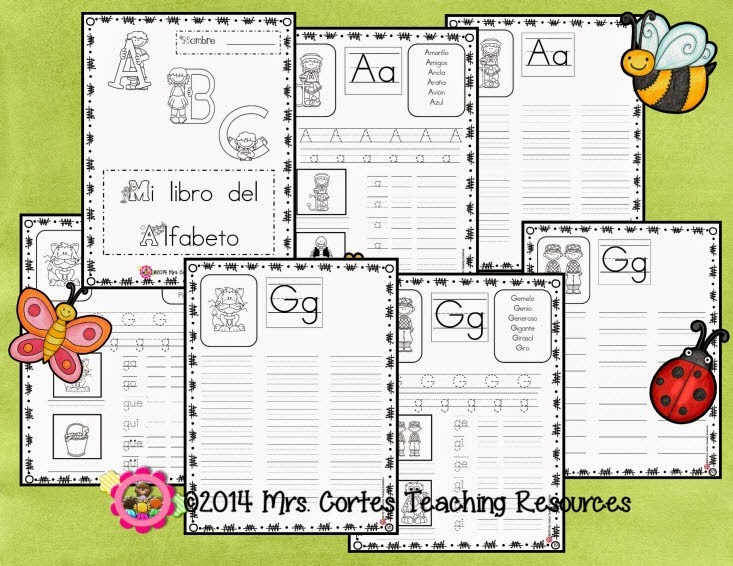 Mrs. Cortes' Teacher Resources: Finally, Back to School!!!!!!! It seems like yesterday when we were welcoming Summer so desperately and anxious. But what amazes me the most is how the same excitement is back this time to welcome a new school year. And all the ads and sale signs all over the place are of course fueling such excitement!!!!! Well, here it is one more sign that will surely help you get motivated for the upcoming year. This is the perfect resource pack to launch the school year and save some money!!! 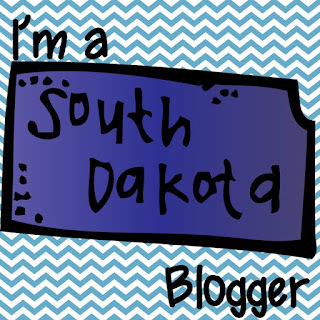 - Uppercase and lowercase tracing guidelines. - Each letter has an extra page to add new words seen in class. - Soft c, soft g, rr, and soft r have separate alphabet pages. - Digraphs ch and ll also have separate alphabet pages. - Black and White for easier and better quality mass copying. 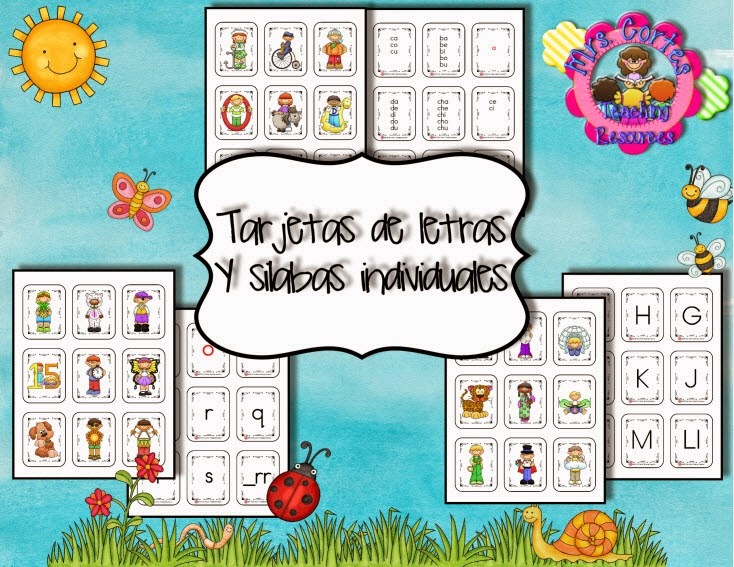 - 33 (132 in all) alphabet cards to support Spanish instruction in your classroom. - Color and black and white sets. 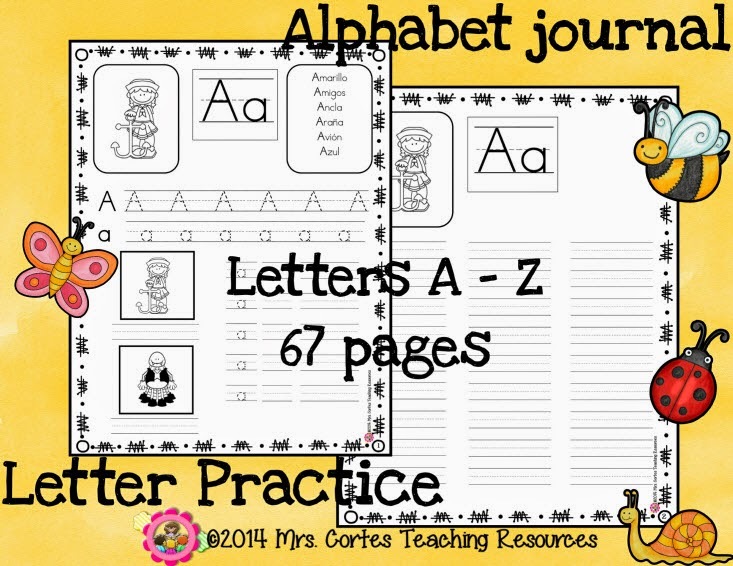 - Students can easily use these alphabet cards as reference using a letter- related picture. 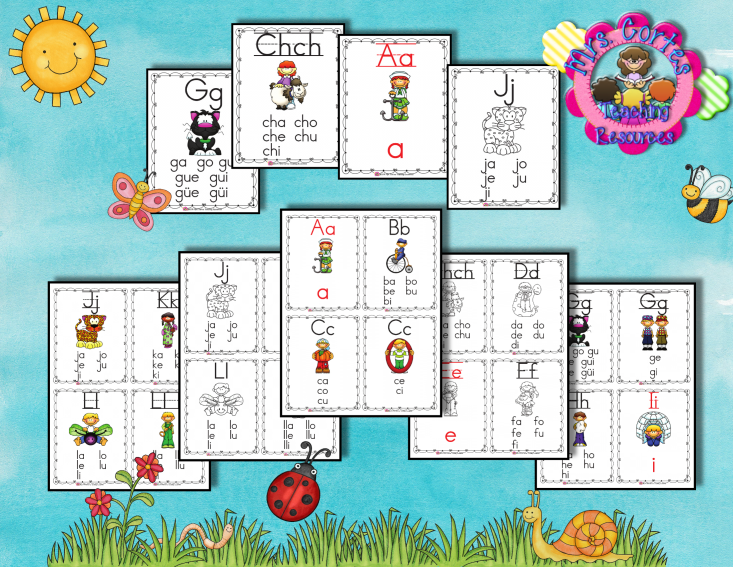 - Each card includes syllables formed with each individual letter. 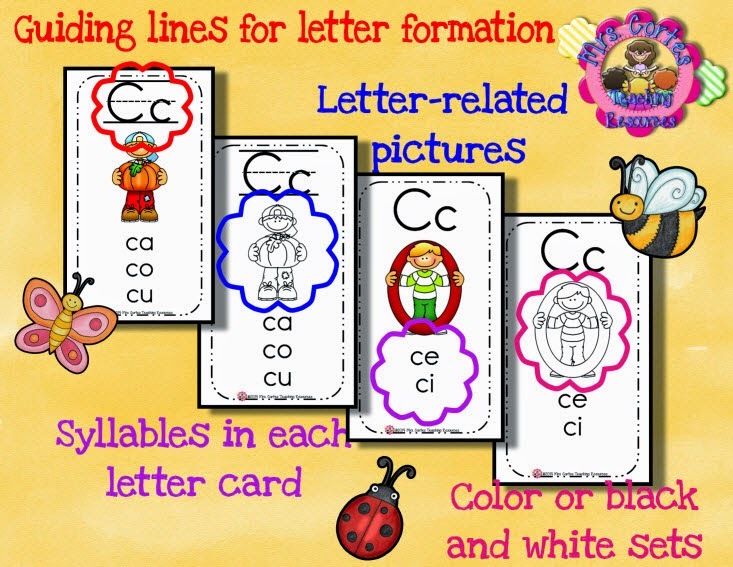 - Includes two different sets, with or without guide lines for letter formation. 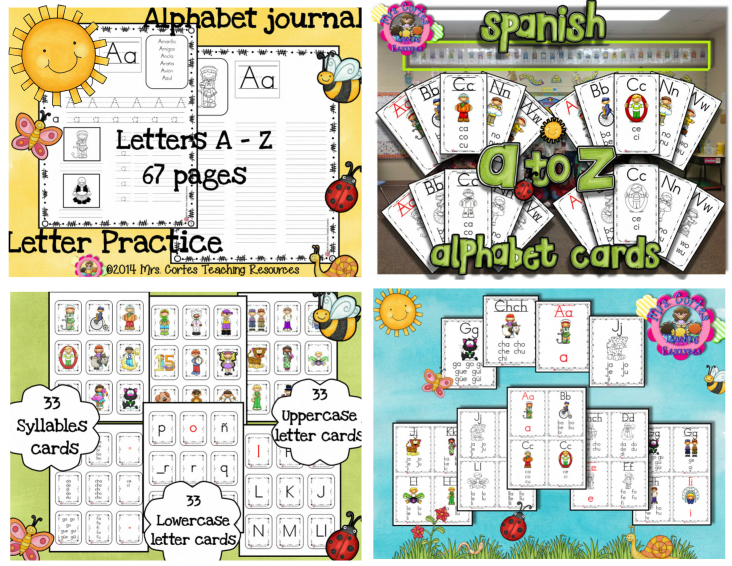 - 33 alphabet mini cards to support Spanish instruction in your classroom. - Perfect for literacy centers. - Ready for two sided printing. 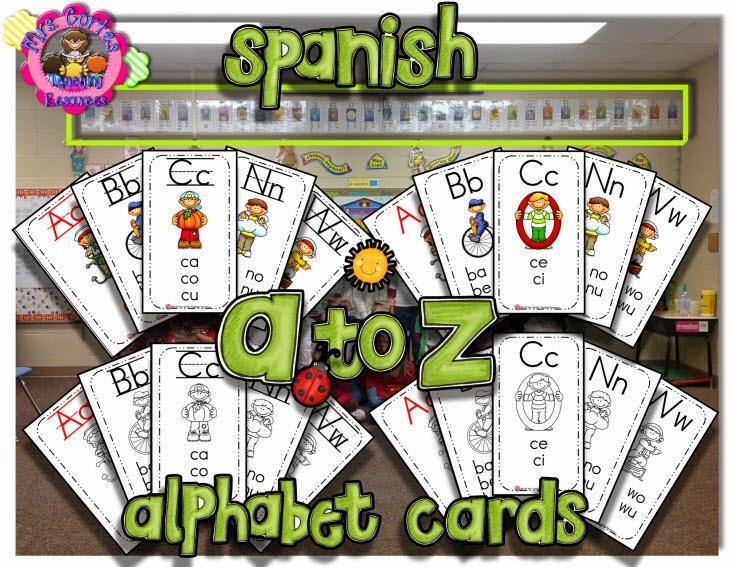 - 33 alphabet flashcards to support Spanish instruction in your classroom. - Digraphs ch and ll included.